The sun came out. It stopped snowing, just in the last two hours. The temperature is below zero. I shouldn’t be surprised. I’ve checked the blog…it’s always crap weather in April. It’s been a brutal spring. 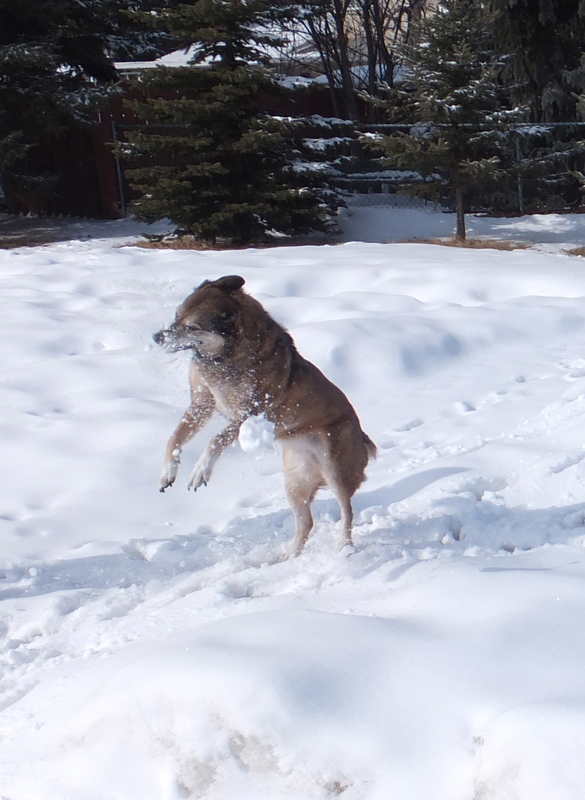 However, May looms, and Maggie…she LOVES the snow.